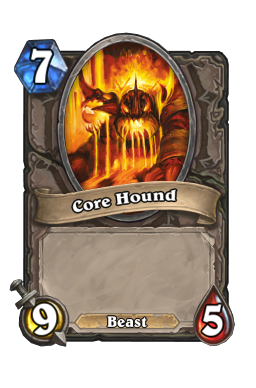 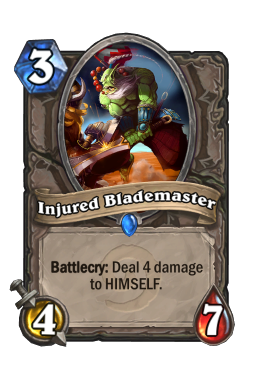 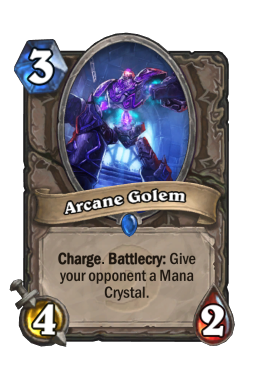 This is the thirteenth part of the Free to Play Journeyman Hearthstone Guide Series. 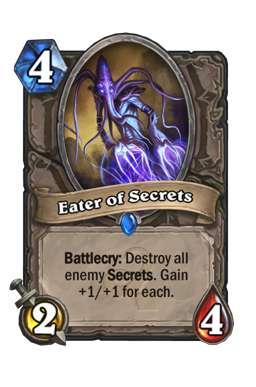 Be sure to check out the other articles in the series here: Part 1, Part 2, Part 3, Part 4, Part 5, Part 6, Part 7, Part 8, Part 9,Part 10, Part 11 and Part 12. 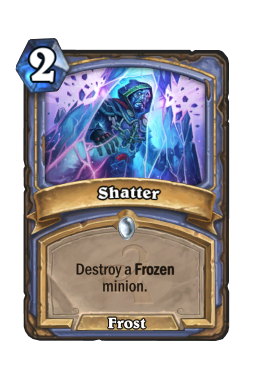 I didn't have to wait until December because Christmas came early this year. 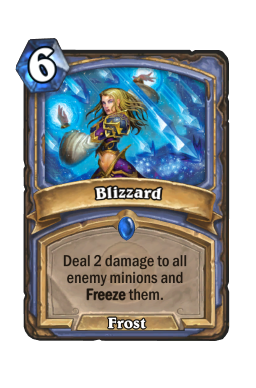 Wrapping paper, plastic trees, meaningless and overpriced cards, socks I didn't need and everyone singing about snow in the middle of summer is this year's official second Christmas. 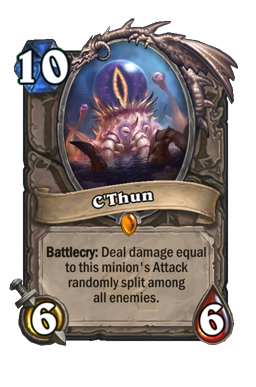 (I live in the Southern Hemisphere, by the way) C'Thunmas is what it's all about. 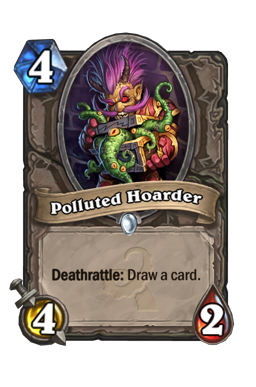 To recap the position of my US FTP account collection, I had a broad base of cards from the classic set, a smattering of Goblins vs Gnomes (GvG) cards [mostly crafted], even fewer The Grand Tournament (TGT) cards [9 packs opened], 4 wings of The Shade of Naxxramas (Naxx), 2 wings of Blackrock Mountain (BRM), and all 4 wings of League of Explorers (LoE). 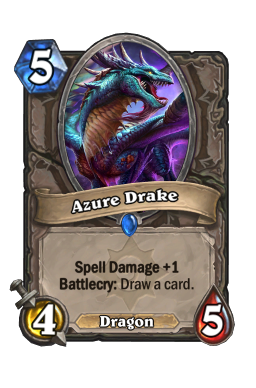 I had saved 1315 dust and got a 3 wins with Mage quest on the final day to push my to 1705 gold in the bank. 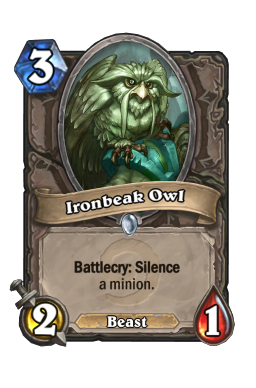 What else could I do to position myself better for the new environment? 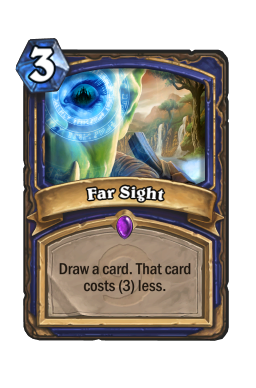 I discovered that Old Murk Eye could be crafted post-rotation after they removed the rewards. 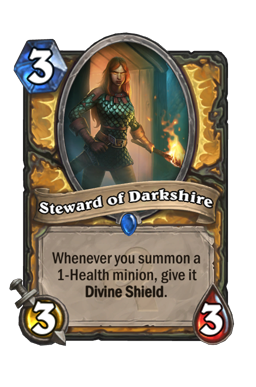 This meant it should be disenchantable as well. 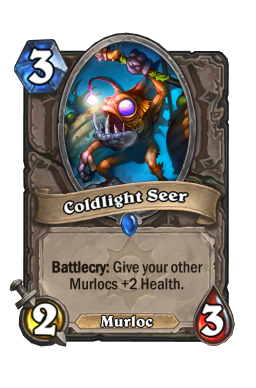 Since I only needed a Coldlight Seer to get the reward (cost 100 dust) and could gain 400 dust by disenchanting Murk-Eye I decided to craft it on the last day (after some significant internal debate that had raged all week about whether all I'd be doing is getting an undustable and unplayable in Standard card and a bad rare for 100 dust). 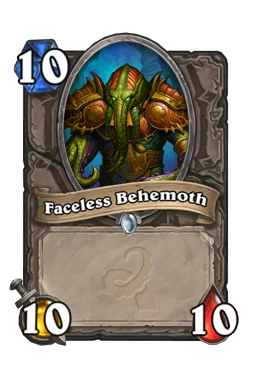 I didn't get the reward card, and then discovered that the patch had removed the reward but that Blizzard would instead give 1600 dust to craft the card if one contacted customer service - which I obviously did immediately! 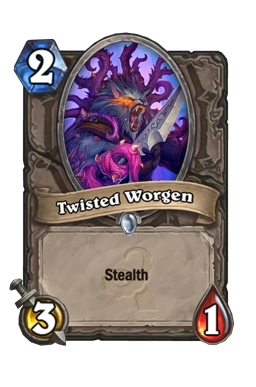 And then they reverted that to giving the card again because every man and his dog saw the obvious exploit. 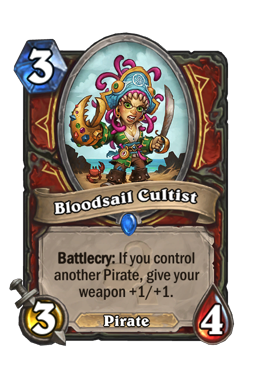 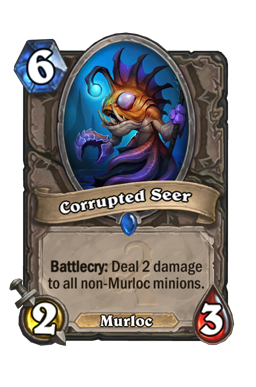 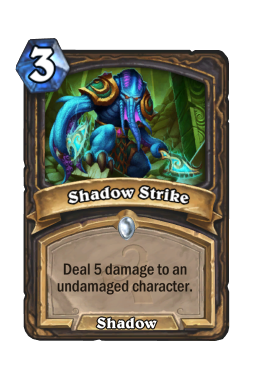 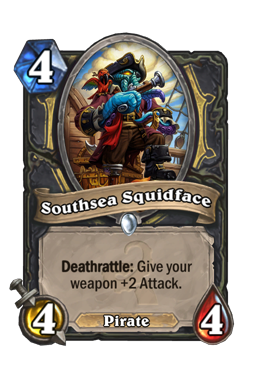 So now I have Old Murk-Eye and its still "uncraftable" at this stage (hopefully after 1 May I can get my 400 dust). 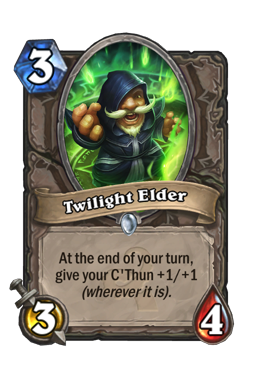 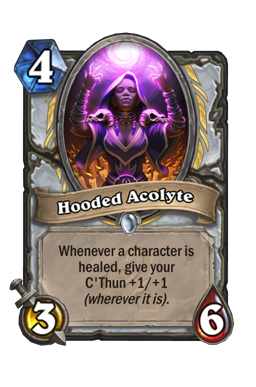 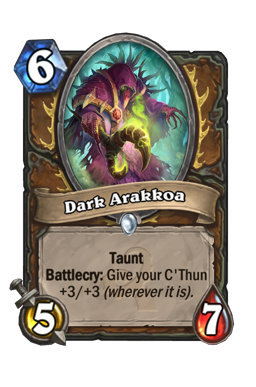 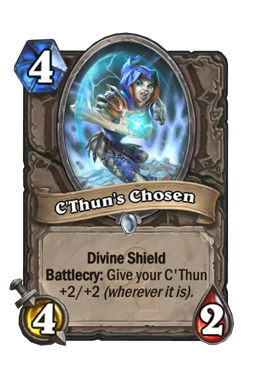 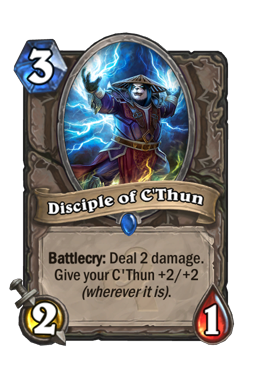 And then C'Thun came to eat cookies and drink milk the server came online. 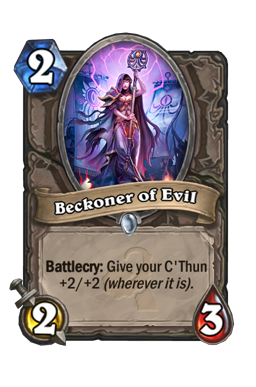 I grabbed my free C'Thun , playset of Beckoner of Evil and the 3 Whispers of the Old Gods (TOG) packs. 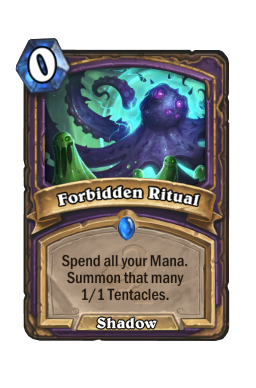 I then decided to keep 200 of my gold for an Arena run at some point (I'll spend gold for packs but will hold onto this reserve) and opened 15 more TOG packs: Squirming Tentacle , Eldritch Horror , Shadow Strike , Cult Apothecary , Bloodsail Cultist Flamewreathed Faceless , Nerubian Prophet , Duskboar , Tentacle of N'Zoth , Corrupted Seer Nerubian Prophet , Squirming Tentacle , Southsea Squidface , Psych o tron, Undercity Huckster Duskboar , 2 Usher of Souls , Faceless Behemoth , Eater of Secrets Nerubian Prophet , Divine Strength , Bloodhoof Brave , Bilefin Tidehunter , Infested Wolf Twilight Elder , Fiery Bat , Possessed Villager , Steward of Darkshire , Darkspeaker Psych o Tron, Usher of Souls , Hooded Acolyte , Bog Creeper , Blood to Ichor C'Thun's Chosen , Possessed Villager , Infested Tauren , Power Word: Tentacles , Mire Keeper Fiery Bat , Zealous Initiate , Faceless Behemoth , Bloodhoof Brave , Forbidden Ancient Duskboar , Stand Against Darkness , Ravaging Ghoul , Addled Grizzly , Forbidden Ritual 2 Possessed Villager , On the Hunt , Twisted Worgen , Forbidden Ritual Twilight Elder , Shadow Strike , Mire Keeper , Corrupted Healbot , Demented Frostcaller (Golden) Darkshire Alchemist , Duskboar , Twisted Worgen , Spawn of N'Zoth (Golden), Bloodsail Cultist Mark of Y'shaarj , Dark Arakkoa , Am'gam Rager , Psych o Tron, Eater of Secrets Twilight Flamecaller , Twilight Elder , Faceless Behemoth , Aberrant Berserker , Thing from Below Ravaging Ghoul , Duskboar , C'Thun's Chosen , Feral Rage , Klaxxi Amber Weaver Flamewreathed Faceless , 2 Usher of Souls , Southsea Squidface , Infest Duskboar , Polluted Hoarder , On the Hunt , Bloodhoof Brave , Hammer of Twilight Ugh. 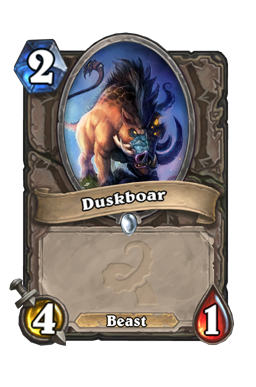 6 Duskboar and 5 Usher of Souls and yet so many commons unseen. 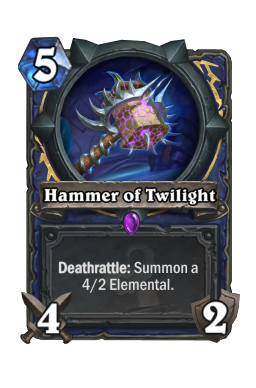 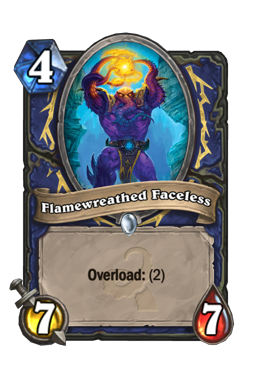 Nothing really stood out for me, but I did get 2 Flamewreathed Faceless , Thing from Below and a Hammer of Twilight so I decided to start with Shaman. I didn't quite have all the commons for a C'Thun deck. 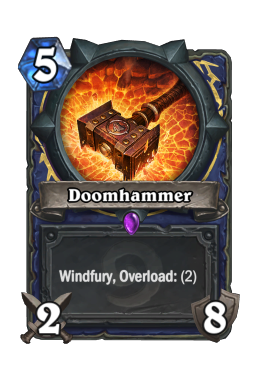 I ended up with 14 excess commons from these packs, worth another 70 dust. 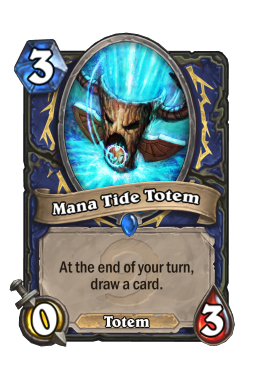 I threw together a deck packing all my new shaman class cards: 2 Flamewrathed Faceless, Hammer of Twilight, Thing from Below, and added 2 Nerubian Prophet , and Psych o Tron because they looked interesting. 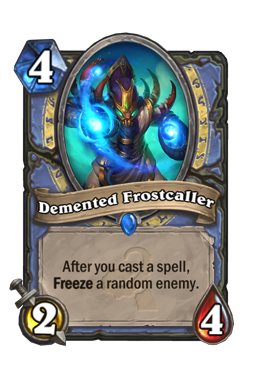 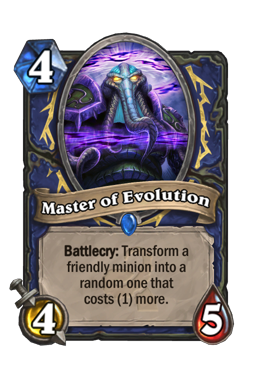 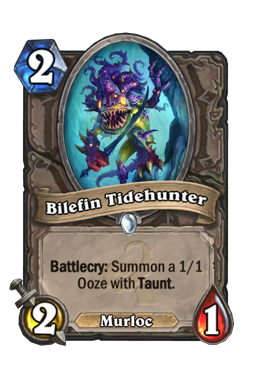 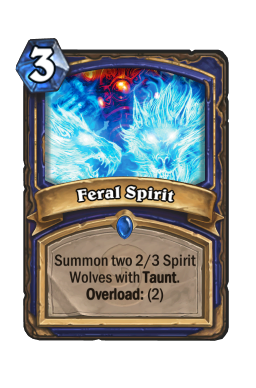 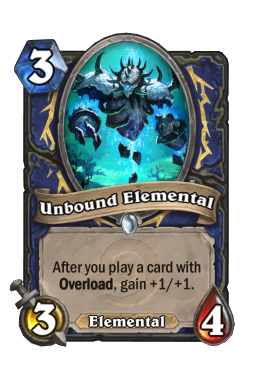 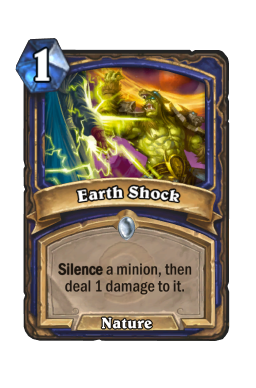 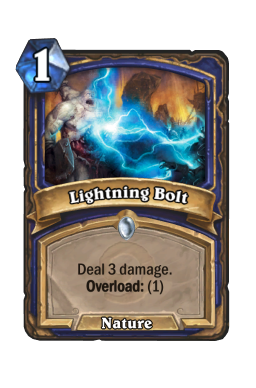 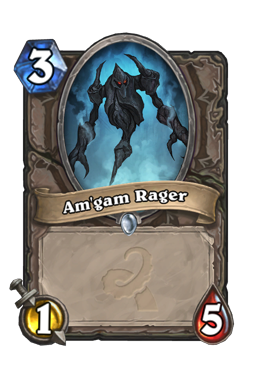 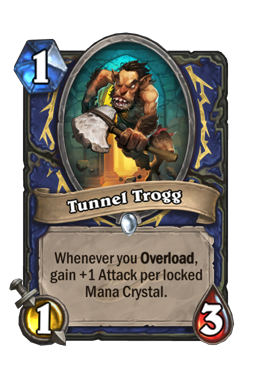 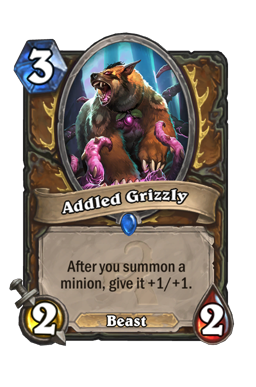 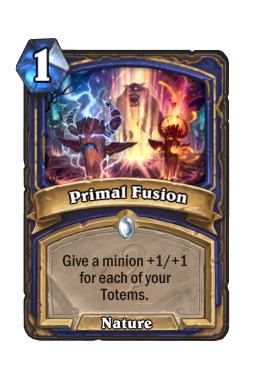 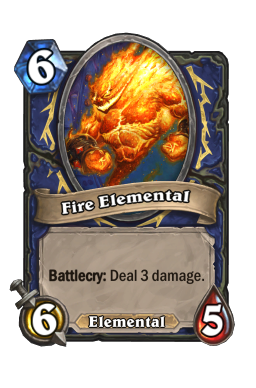 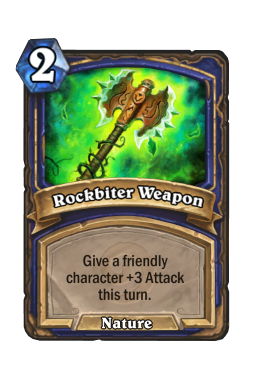 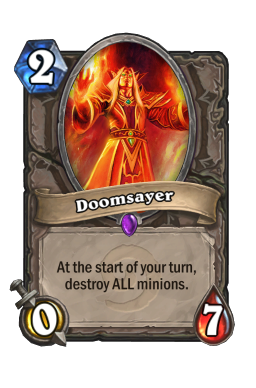 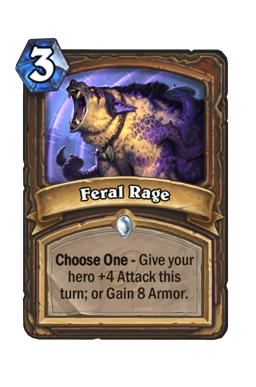 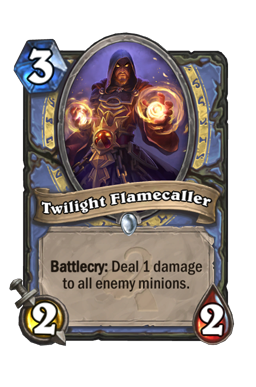 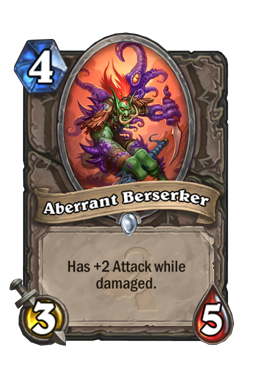 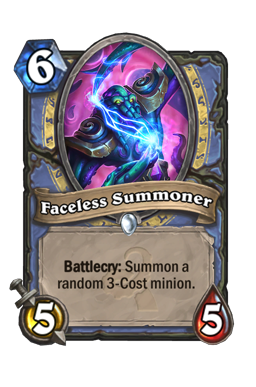 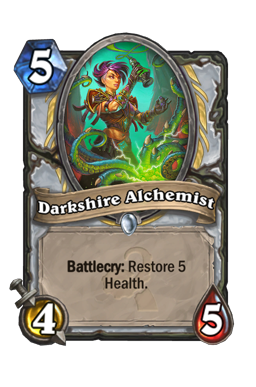 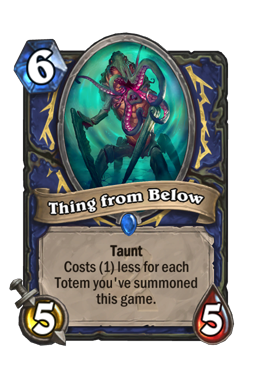 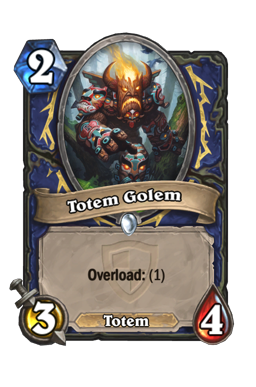 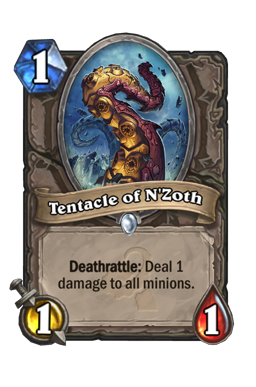 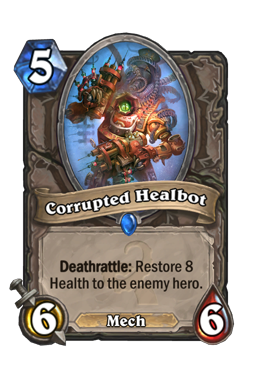 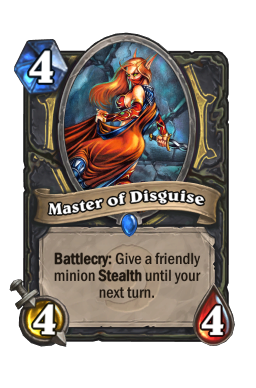 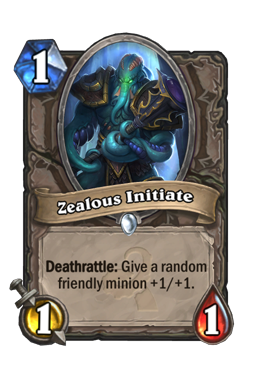 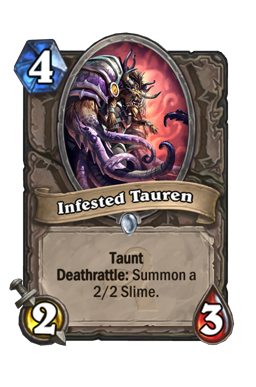 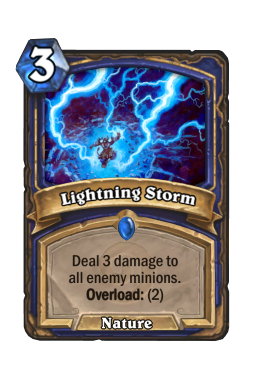 But I found that not much else from among my neutral cards really stood out as fitting with Shaman - it was mostly little minions with deathrattle or minor effects. 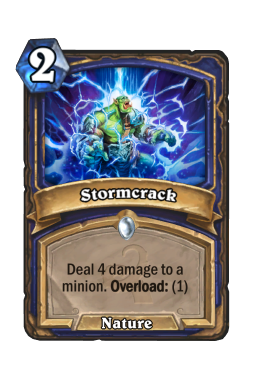 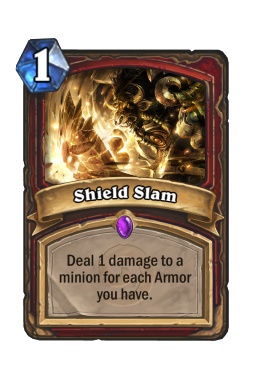 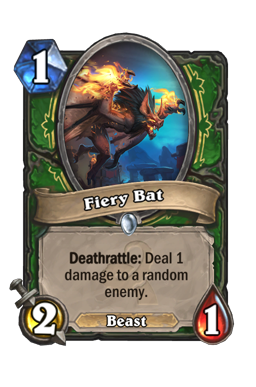 So I tacked on an overload/aggro core of 2 Abusive Sergeant , 1 Sir Finley Mrrgglton , 2 Tunnel Trogg , 2 Earth Shock , 2 Lightning Bolt , 2 Rockbiter Weapon , 2 Flametongue Totem , 2 Unbound Elemental , 1 Lightning Storm , 1 Mana Tide Totem , 1 Lava Burst , 2 Lava Shock , 1 Doomhammer , 2 Fire Elemental . 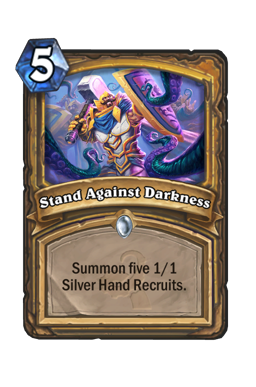 I got the first new quest for 2 games in Standard for 5 more packs so I hit the ranked play room in Standard at rank 13. 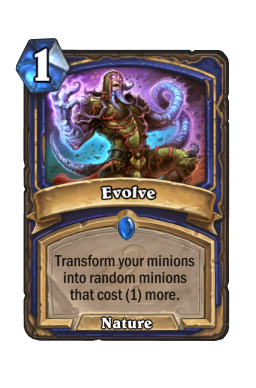 First up I beat a CThunlock and then lost to a very much superior Shaman deck running an Evolve engine (he'd clearly bought at least the pre-release special), even though he Evolve d into Doomsayer at one point and wiped out his excellent board to my empty one. 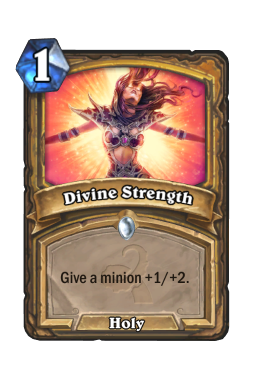 But I didn't get my 5 packs so I re-read the quest: oh, I need 2 WINS to get 5 packs. Dork. 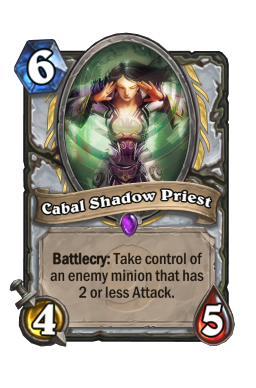 2 more losses ensued against Priest (including a golden hero) before I finally beat a Mage player who could easily have been another FTPer because he simply didn't have much stuff. Open 5 new packs from reward (plusses indicate dust gained from more excess of commons): Twilight Geomancer , Doomcaller , +15 Stormcrack , Spawn of N'Zoth , Doomcaller , +10 Mark of Y'shaarj , Stormcrack , Master of Evolution , +10 Zealous Initiate , Bilefin Tidehunter , Forbidden Ancient , +10 Twilight Flamecaller , Shatter , Thing from Below , Skeram Cultist , +5 A second Thing from Below as well as a Master of Evolution for the deck! 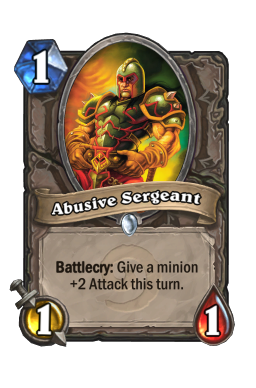 I cut the Lava Burst and Abusive Sergeants for the Shaman rares and a Bilefin Tidehunter [I needed a 2-drop, I felt], promptly lost to another "got it all" Shaman and beat a Cthun Rogue deck thanks to dropping Nerubian Prophets on turns 3 and 4 (he killed 1) before I used a Prophet to kill Twlight Elder and then used Master of Evolution to turn it into a Core Hound . 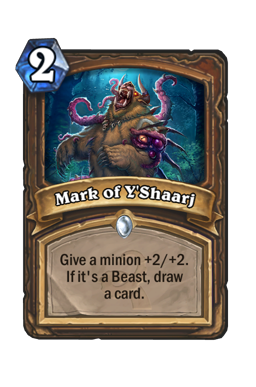 At this point though I knew my deck was terribly underpowered and I wasn't going to get anywhere towards that 7 win quest for the next 5 packs. 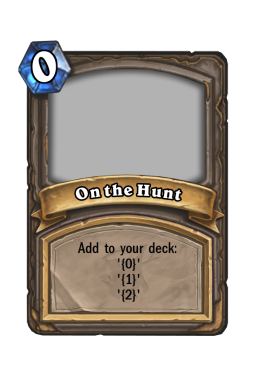 It was time to craft. 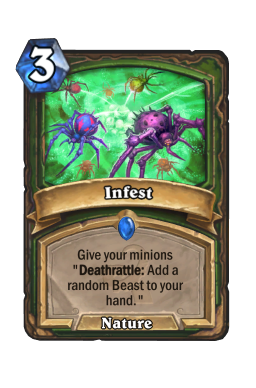 With the dust gained from all those excess commons I began with 1380 dust. 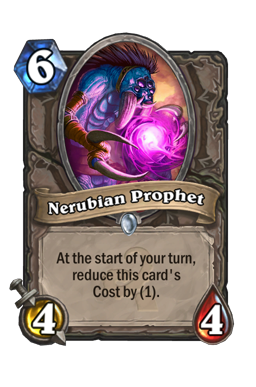 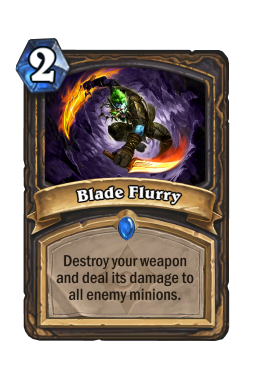 I disenchanted all the cards I owned in Naxx (+2330 dust), GvG (+1155 dust) and many of the cards that were nerfed (2 Blade Flurry , Master of Disguise , 2 Leper Gnome , Ironbeak Owl , 2 Arcane Golem one of which was golden for +1320 dust) giving me a total of 6185 dust. 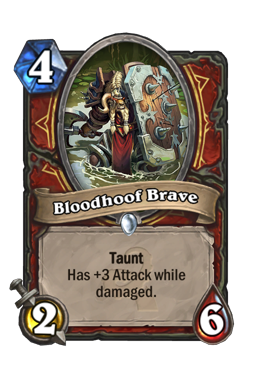 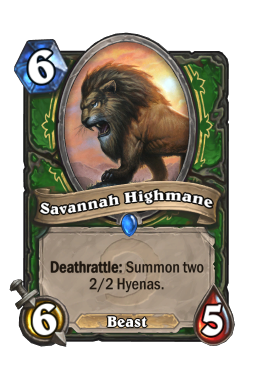 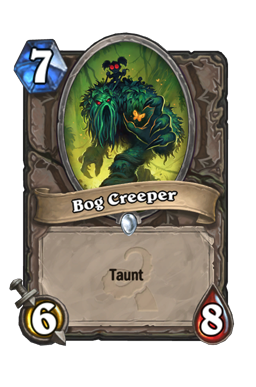 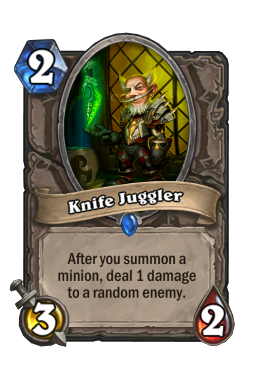 Of the nerfed cards I kept 2 Keeper of the Grove , 2 Knife Juggler , 1 Ironbeak Owl , 1 Big Game Hunter . 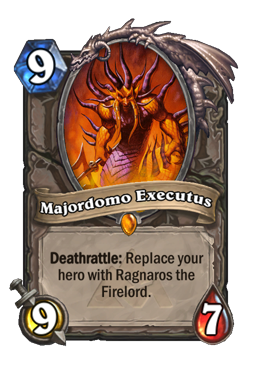 Finally I dusted Far Sight , Void Terror (had 2, only ever need 1), and Majordomo Executus which I have never ever considered playable. 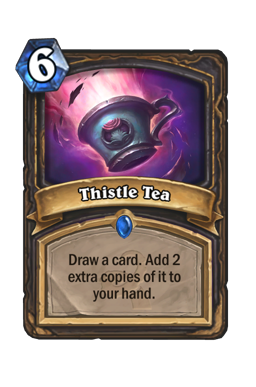 Final dust total: 6705. 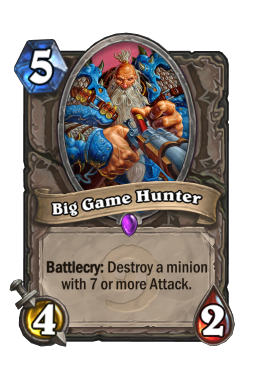 The plan was to craft all the vital Epics and Rares on my list presented last week, and up to 2 legendary minions from the classic set. 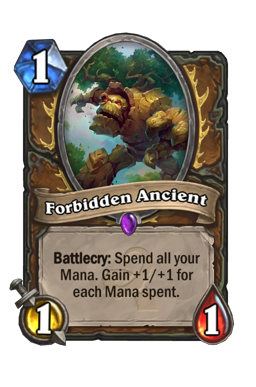 But as I looked at the lists I knew that crafting the legendaries would be premature. 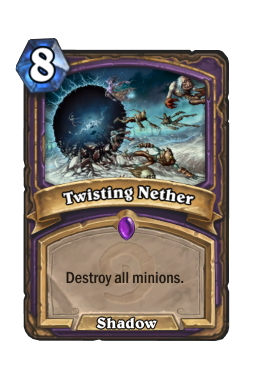 I also decided that Twisting Nether was likely to be increasingly important to Warlock control/CThun decks, so I added it to the list. 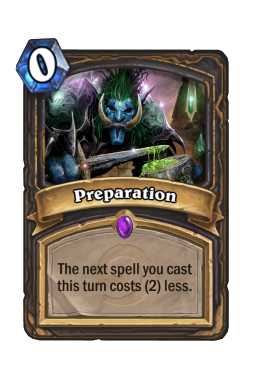 I crafted: 2 Preparation , Shield Slam , Cabal Shadow Priest , Twisting Nether , 2 Doomsayer , 2 Injured Blademaster , 2 Azure Drake , Savannah Highmane , Blizzard , 2 Feral Spirit , Lightning Storm . 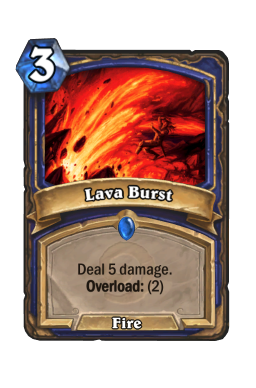 Dust remaining: 3005. 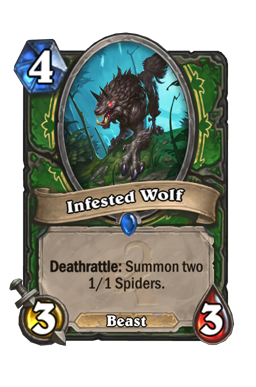 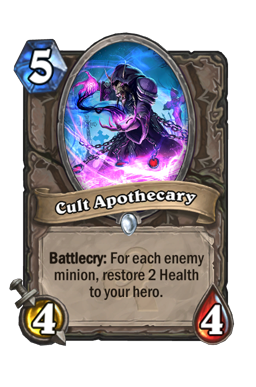 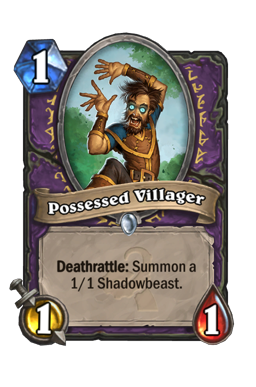 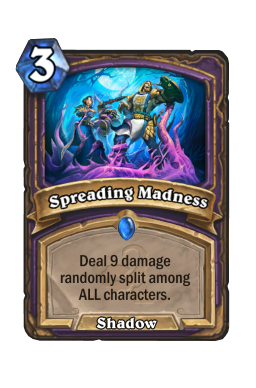 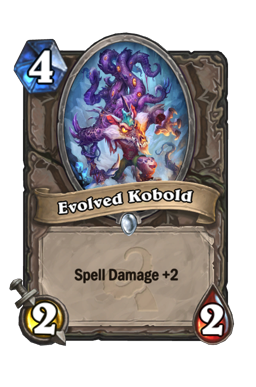 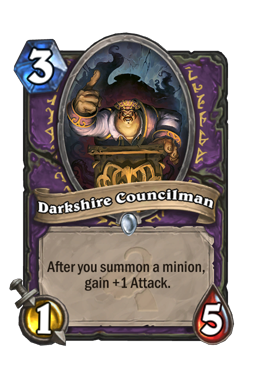 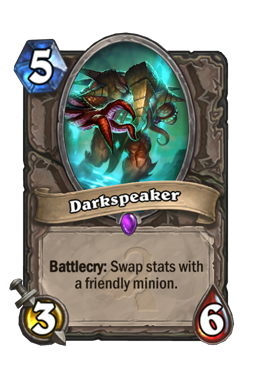 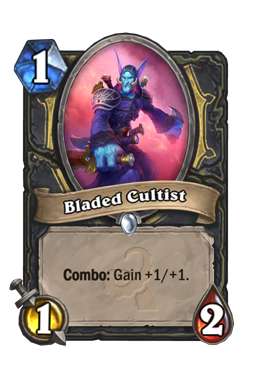 Getting a Spreading Madness in that last pack has me looking at Warlock for the next deck. 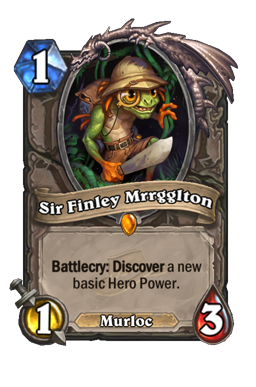 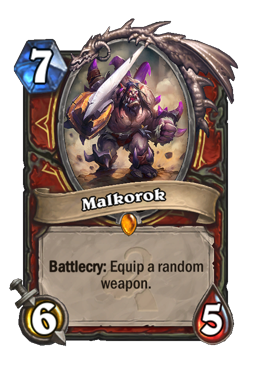 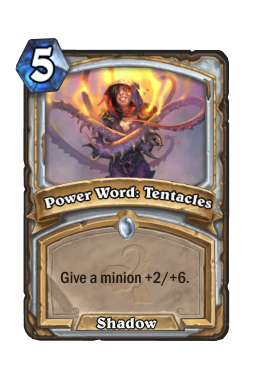 Finally a legendary minion arrived in pack 27. 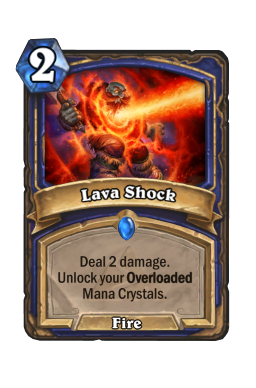 How did your "opening day" do? 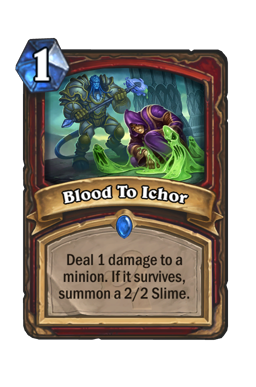 Tell me all about it and your first impressions of the set below.